Cook quinoa according to package and let cool completely. Chop herbs into a super fine chop. ( you can do this by hand, or save time with a food processor) I like to squeeze a little lemon juice on top of the herbs to help keep the mint from browning. In a small bowl whisk together lemon juice, salt, pepper, olive oil. 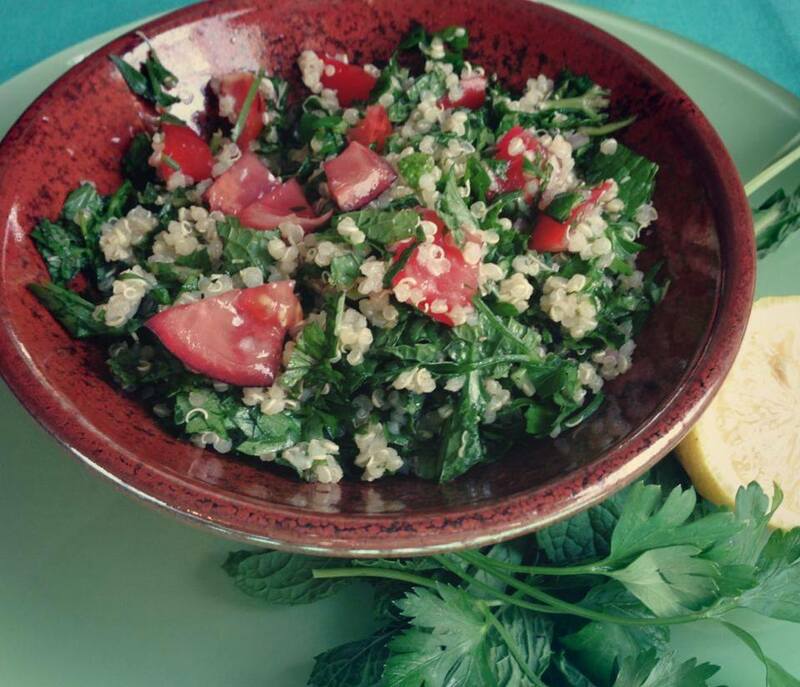 In a large bowl combine quinoa, herbs, tomato, and onion, then pour over dressing on top and toss to coat. Cover and let this sit in the fridge for at least a few hours for all the flavors to meld.You can also add a can of white beans to make this a hardier dish.